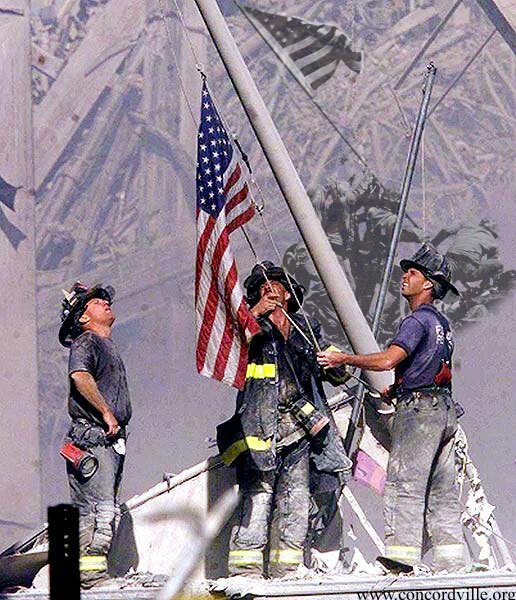 September 11, 2001 is a day that will forever be remember in America. I’m sure there is not an American old enough to remember what happened that can not tell you what he/she was doing when the towers were struck. Each year, tributes, memorials, and other acts of commemoration are held, as Americans pay homage to those who lost their lives on that fateful day. However, for the police officers in Peabody, that isn’t enough. An article on CNN’s website claims Peabody’s finest is in the process of making Sept. 11 a paid holiday. The New York Police Department, which lost 23 officers at the World Trade Center on September 11, 2001, does not recognize the day as a paid holiday. Talk about milking the cow for all it’s worth. Talk about a cheap attempt to make some extra money. Each and every American was hurt by the events of Sept. 11, from those who lost loved ones, to those who just plain watched on television, finding out first hand how vulnerable and hated America actually is. For a police department to think, because they are law enforcement, that somehow it affects them more, is just plain ludicrous. Police are supposed to set an example, and lead by that example. Maybe that is what’s wrong with America, a self centered attitude that starts in the top tiers of the hierarchy, and eventually festers it’s way down. So, congratulations Peabody, your police department just showed America how egotistical they are. If officers in New York, who watched their brothers in arms meet their ultimate demise trying to protect innocent people, are not getting a paid holiday, you sure as hell should not be. I beleive we should REMEMBER 9/11- not celebrate it. By wanting to celebrate it with a day off, then they are celebrating the fortune of the terrorist. Maybe next they can bully their way into taking National Apple Week off too. I have an idea if these cops are so greedy to want another day off then lets do to them what the whores of congress do to us. Lets outsource them!!! The police no longer protect and serve they now control us and have created a mentallity of us and them!!! This is why we no longer trust the cops!!! Well, think about it this way… if you work a job that recognizes holidays like that, and you have to take the day off (I realize that police operate 24/7, but probably at minimum capacity or something on holidays), that’s less pay than you would be making if you were allowed to work. If you’re going to struggle because you’re not going to get that normal amount in your paycheck you’re used to, it might make a big difference if a new holiday comes along and you have to take an extra day off and not get paid for it. That said, I’m just playing devil’s advocate. I don’t agree with them, and I don’t think they should get Sept 11 off and get paid for it, but it’s worth looking at another viewpoint to help understand where some of them might be coming from, although I’m sure some of them just want the extra money. Wow.. haha. What people will do to get a holiday. When I first started reading this, I was like, huh? Peabody? Isn’t that in Massachusetts? Being from outside of NYC, that kind of annoys me a bit. The funny thing is that I bet a lot of them were the same people, who, like Bush, wanted Americans to carry on with their everyday lives otherwise we’d be letting the terrorists ‘win’. Isn’t taking the day off every year pretty much the same thing? I think that Riverhed is missing the point. From the way I read it is that, the Peabody Police Dept. wants to CREATE a holiday for themselves and then get paid for not showing up to work and if they have to work then they want to get paid more. Now playing the devil’s advocate would be saying that the 100 or so stressed out Peabody police officers in a town with a population of about 50,000 need to take off to reflect how fortunate they were that the terrorists changed their mind at the last minute not to land at Peabody and instead continue to fly onto New York City. Cal: Then you read it wrong. The article states that they’re trying to get a pay increase for working on that already-recognized holiday. They’re not trying to create a holiday. You also need to learn what “devil’s advocate” means. It means putting out an opposing viewpoint for the sake of discussion or debate. So my example is actually playing devil’s advocate, as I clearly stated that I don’t agree with them (thus getting the point) and that I was just throwing the idea out there. Also, because this is the internet: You’re a retard.